Tiger Lily’s Charity in Bloom Program Benefits Chase After a Cure in February | Neuroblastoma Research and Fundraising: Chase After a Cure! 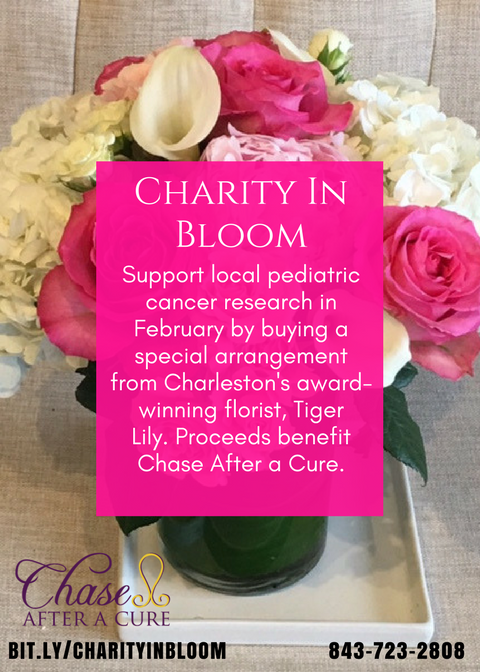 Charleston’s award-winning florist Tiger Lily has selected Chase After a Cure to participate in its new Charity in Bloom program. During the month of February, 20 percent of the proceeds from the Charity in Bloom special arrangement will be donated to Chase After a Cure to support its work funding pediatric cancer research. Tiger Lily owners Manny and Clara Gonzales recently started the Charity in Bloom program as a way to increase awareness and raise funds for nonprofit organizations that work to improve the health and wellness of children and families through medical research, education and mentorship. 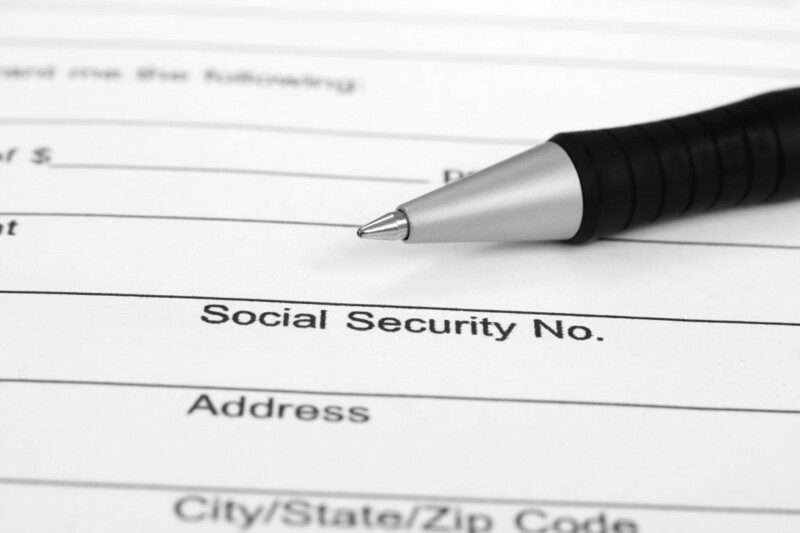 Each month, proceeds from a custom-designed arrangement are shared with a partner organization. The Charity in Bloom arrangement for February includes a variety of pink and white roses and hydrangeas. 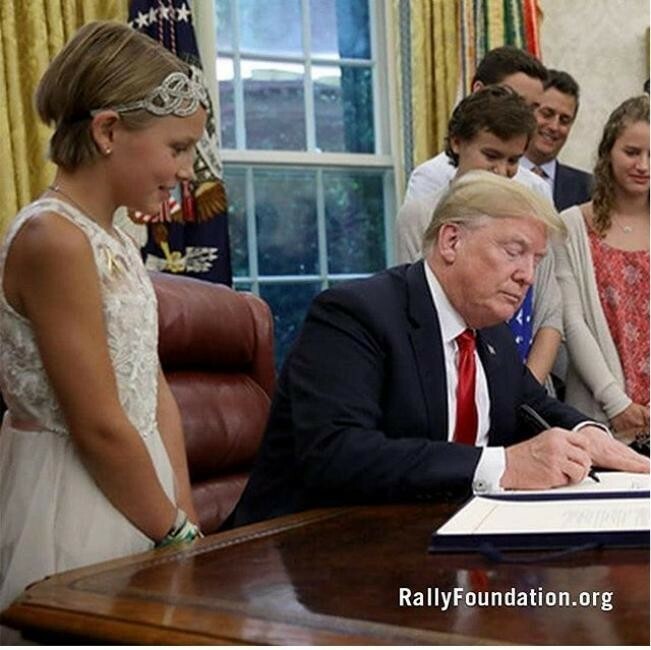 Pink and white flowers are symbols of youth, innocence and joy – an excellent fit for an organization devoted to helping children during their most difficult times. 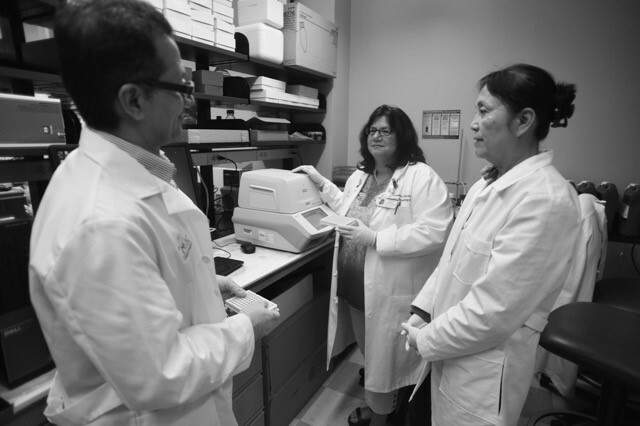 Chase After a Cure raises money to fund innovative research and promising clinical trials that have the potential to immediately impact the lives of pediatric cancer patients. Summerville resident Whitney Ringler started the organization in 2009 after her 3-year-old son, Chase, was diagnosed with Stage 4 neuroblastoma. Since its founding, Chase After a Cure has awarded more than half a million dollars to pediatric cancer research at the Medical University of South Carolina Children’s Hospital. The arrangements are available in four sizes at four price points: $85, $105, $135 and $200. Order the Charity in Bloom arrangement online at bit.ly.com/CharityInBloom or call 843-723-2808.